If you're just catching up to it, here are the latest developments in the Greek economic crisis -- and what you need to know. Last updated: September 21, 9:30 am ET (1:30 pm GMT). 1) Greeks went to the polls Sunday for the third time this year and voted Prime Minister Alexis Tsipras back into office. Tsipras, who heads the left-wing Syriza party, must now focus on implementing a bailout agreed with Europe in July. The nation is also struggling with a refugee crisis, where thousands of migrants and refugees have flocked to its shores. 2) The next step for Tsipras will be to form a new coalition government. 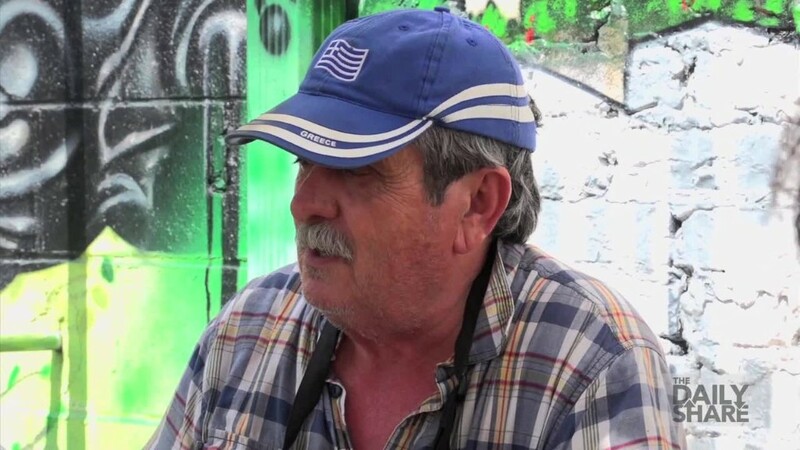 He is most likely to govern with previous coalition partner, the Independent Greeks. 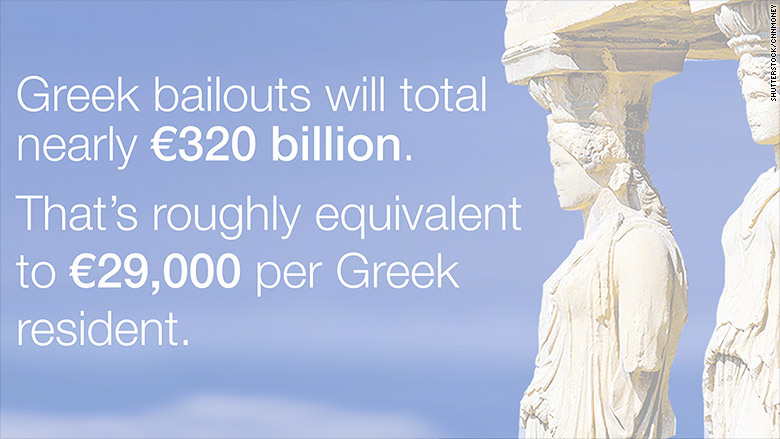 3) Greece has already received the first part of its third international bailout. The package of European loans is worth up to 86 billion euros ($96 billion). The bailout secures Greece's membership in the eurozone. 4) Eurozone nations, along with the ECB and the International Monetary Fund, have already loaned Greece roughly 233 billion euros in rescue financing since 2010. 5) But there won't be a quick fix for Greece's Depression-like conditions. The European Commission has forecast that Greece's economy could shrink by another 4% this year. Greeks are currently suffering with an unemployment rate above 25% and the highest poverty rate in the European Union. 6) The IMF won't take part in the new bailout unless it includes debt relief for Greece. A senior IMF official said this could take the form of longer grace periods, longer payment schedules and lower interest rates -- the fund was not insisting on outright cancellation of debt. 7) The country's banks and stock exchange were forced to close for a number of weeks to prevent a complete financial meltdown. The banks reopened on July 20, although caps on cash withdrawals remain. The banks are being kept afloat by emergency cash from Europe's central bank, but urgently need a longer term solution. A large chunk of money from the newest bailout will be used to prop up the banks. When the Athens stock exchange reopened in early August, shares in Greek banks immediately suffered heavy losses. 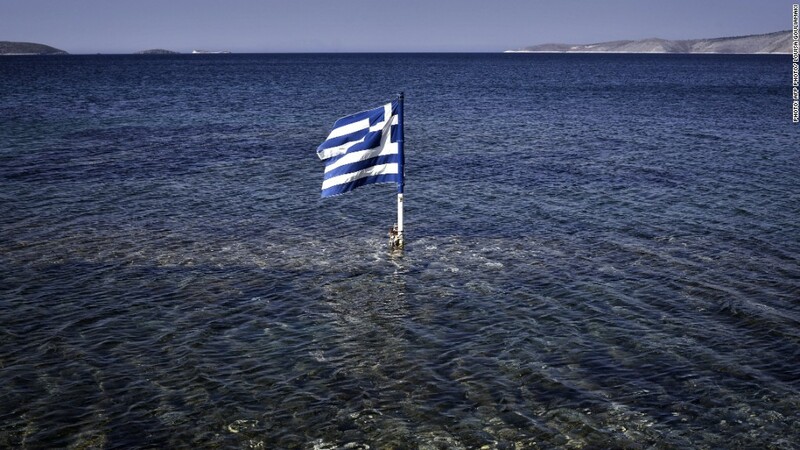 8) Greece's parliament voted through economic and tax reforms in July in order to secure this third bailout. The new government will need to cut spending and bring in more revenue. It will also need to sell some state assets. 9) Greece's former left-wing government campaigned for months against these reforms. But Tsipras was forced to accept the bailout conditions when it became clear that the only alternative was for Greece to crash out of the euro.